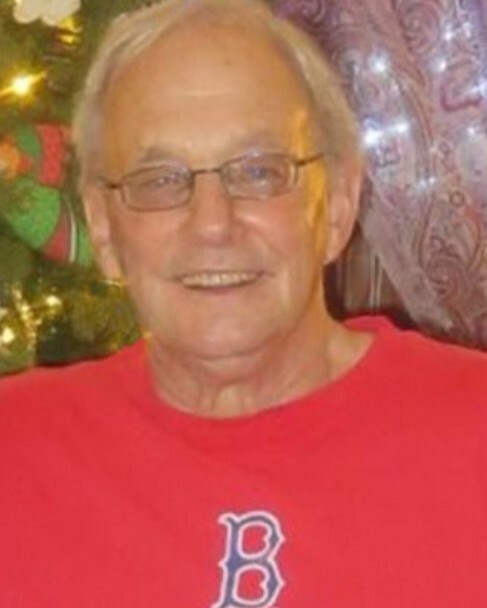 Thomas M. Booth, 69, of Springfield passed away on Saturday, November 24, 2018 at Baystate Medical Center. Born in Springfield, on August 9, 1949 he was a son of the late Robert and Helen (Gagnon) Booth. Tom served in the US Navy during the Vietnam War and worked as a selector at Sweet Life for over 25 years. He was an avid Red Sox fan. His life was filled with family, friends, and especially children and the Sox. He loved all of his kids, grandkids, nieces, and nephews completely. He was a kind and generous man to a fault. He loved to hear how your life was going and to crack corny jokes and spread laughter and smiles. Tom never lost a friend and he made them quickly. He fought cancer so very hard, he was a tough cancer warrior. Tom leaves his loving wife of 15 years and together for 25 years, Denise (Fournier) Booth; his children, Ericka Cornichuck and her husband Corey, Amie Ryan and her husband Tom, Justin Booth, and Theresa Allen; his grandchildren, Jake and Rosey Ryan, Riley and Andrew Cornichuck, and Jeremiah Cruz; his siblings, Anne Henderson, Mary Booth, Kit Blake, Robert Booth, Joe Booth, Bernard Booth; and many nieces, nephews, and friends. Along with his parents, Tom was predeceased by his brother, Billy Booth. A Celebration of Life Service will be held on Friday, November 30, 2018 at 6pm at Byron Keenan Funeral Home & Cremation Tribute Center, 1858 Allen St, Springfield. Calling hours will precede the service from 4-6pm. In honor of Tom, everyone is asked to wear something Red Sox. Donations may be made in lieu of flowers to Tom’s family to help pay for funeral costs.